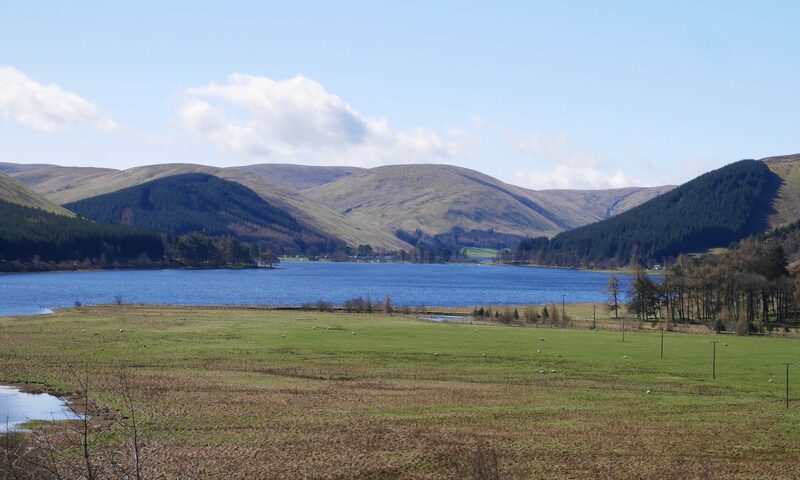 The Half House is a 2 bedroom detached cottage in the heart of the beautiful Scottish Borders countryside. As implied by its name the cottage is small but perfectly formed! Accommodation for 4 but also ideal for a couple. Be prepared to duck when going up the stairs and you will be rewarded by fabulous views from the bed-sitting room. The big view photo above was taken from a slightly higher point behind the cottage but it’s just what you see out of the window! 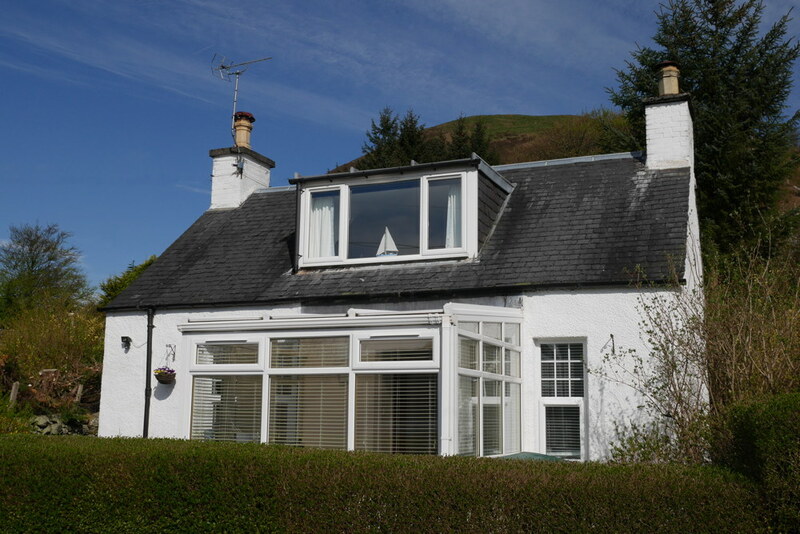 The cottage overlooks the glorious St Mary’s Loch in the Scottish Borders at Cappercleuch in the Yarrow valley, halfway between Moffat and Selkirk (on the A708). The “wow factor” comes as standard! It is in an entirely rural area with magnificent countryside, ideal for outdoor activities. Bring your motorbike, kayak or other outdoor gear and we’ll give you a key to free lockable garage space. We can arrange a supermarket delivery for your stay so you don’t need to bring so much with you. You’ll just pay the supermarket price, we won’t add any extra charge. Alternatively if you already have your own account with Tesco, Asda or Sainsbury’s then just let us know when your order is being delivered and we’ll take it in. Stay for a week and we can be your sober driver to offer a one evening free “taxi” for a drop off at the local country pub (Gordon Arms) and pick up when ready to return (5 min drive). Like most, if not all, holiday rentals we do not permit smoking in the house. Check out our specific pages for details about the cottage, photos, activities in the area and the booking page for prices and availability. You can find us on Google Maps at post code TD7 5LG.